3d People Around Dollar Sign Business PowerPoint Templates And PowerPoint Themes 1012-"Microsoft Powerpoint Templates and Background with people around dollar sign" -3d People Around Dollar Sign Business PowerPoint Templates And PowerPoint Themes 1012-This PowerPoint template can be used for presentations relating to-"People around dollar sign, teamwork, business, signs, finance, people" Excite emotions with our 3d People Around Dollar Sign Business PowerPoint Templates And PowerPoint Themes 1012. Give them a real feel for your thoughts. Be exemplary with our 3d People Around Dollar Sign Business PowerPoint Templates And PowerPoint Themes 1012. You will prove a class act to follow. 3d People Around Dollar Sign Leadership PowerPoint Templates And PowerPoint Themes 1012-"Microsoft Powerpoint Templates and Background with people around dollar sign" -3d People Around Dollar Sign Leadership PowerPoint Templates And PowerPoint Themes 1012-This PowerPoint template can be used for presentations relating to-"People around dollar sign, teamwork, business, signs, finance, people" Break out of the confines with our 3d People Around Dollar Sign Leadership PowerPoint Templates And PowerPoint Themes 1012. They give you access to an eclectic atmosphere. Try our 3d People Around Dollar Sign Leadership PowerPoint Templates And PowerPoint Themes 1012 and get bitten by the bug. You will cease to consider anything else. 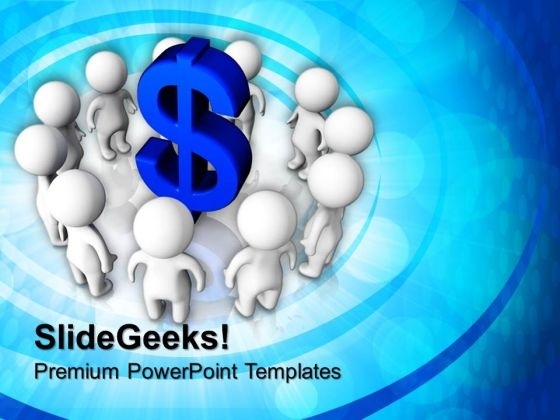 3d People Around Dollar Sign Finance PowerPoint Templates And PowerPoint Themes 1012-Create visually stunning and define your PPT Presentations in a unique and inspiring manner using our above template which contains a graphic of 3d people around blue dollar sign. This image clearly defines the concept of investment. This image has been conceived to enable you to emphatically communicate your ideas in your Business and Financial PPT presentations. The structure of our templates allows you to effectively highlight the key issues concerning the growth of your business.-3d People Around Dollar Sign Finance PowerPoint Templates And PowerPoint Themes 1012-This PowerPoint template can be used for presentations relating to-"People around dollar sign, teamwork, business, signs, finance, people" Develop a customer driven ethic for your team. Use our 3d People Around Dollar Sign Finance PowerPoint Templates And PowerPoint Themes 1012 to convince them to display care. Stir the cauldron with our 3d People Around Dollar Sign Finance PowerPoint Templates And PowerPoint Themes 1012. Let things rise to a fever pitch. We present our People Around Dollar Teamwork PowerPoint Templates And PowerPoint Themes 1112.Use our Signs PowerPoint Templates because, You are going along well but your foresight shows that it may need a slight change in plans or direction. Use our Teamwork PowerPoint Templates because, You know what it takes to keep it fit and healthy. Use our People PowerPoint Templates because, Churn the wheels of the brains of your colleagues. Use our Business PowerPoint Templates because,To your team you always raise a toast. 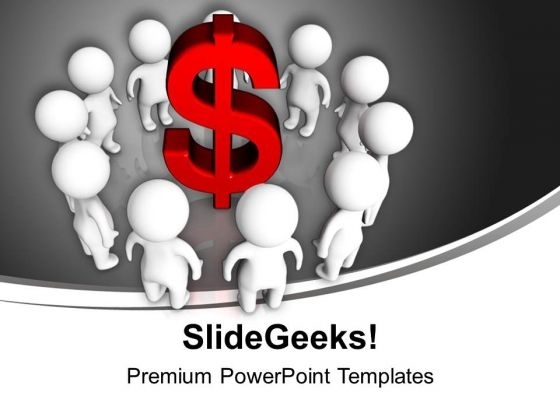 Use our Money PowerPoint Templates because, Highlight the various ways in which we can maintain its efficiency.Use these PowerPoint slides for presentations relating to "People around dollar sign, teamwork, business, signs, people, money". The prominent colors used in the PowerPoint template are Yellow, Black, White Play your cards well with our People Around Dollar Teamwork PowerPoint Templates And PowerPoint Themes 1112. Give your thoughts a good deal. Our People Around Dollar Teamwork PowerPoint Templates And PowerPoint Themes 1112 are geared towards excellence. They find the average a bit banal. We present our 3d People Around Dollar Finance PowerPoint Templates PPT Background For Slides 1112.Use our Business PowerPoint Templates because,The great Bald headed Eagle embodies your personality. The eagle eye to seize upon the smallest of oppurtunities Use our Finance PowerPoint Templates because,you can Organize your thoughts and illuminate your ideas accordingly. Use our People PowerPoint Templates because,Getting it done may not be enough. Use our Signs PowerPoint Templates because,firing the arrows to emblazon the desired path will let you achieve anticipated results. 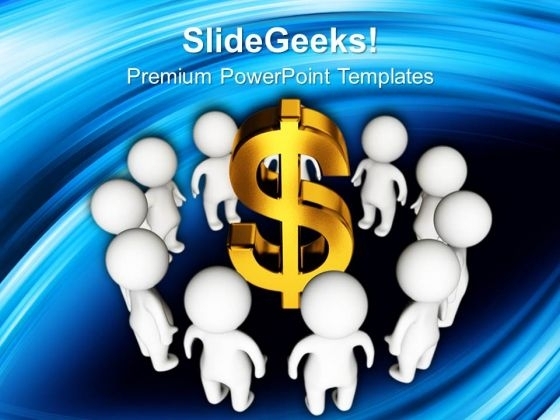 Use our Success PowerPoint Templates because,You have the basic goal in mind.Use these PowerPoint slides for presentations relating to "People around dollar sign, business, finance, people, signs, success". 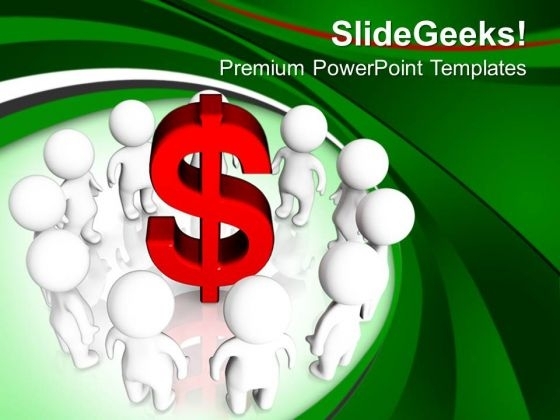 The prominent colors used in the PowerPoint template are Gray, White, Red Let your presentation flow smoothly with our 3d People Around Dollar Finance PowerPoint Templates Ppt Background For Slides 1112. Make sure your presentation gets the attention it deserves. 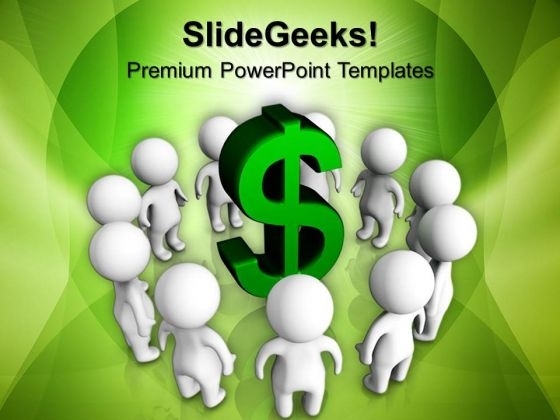 Locate problems with our 3d People Around Dollar Finance PowerPoint Templates Ppt Background For Slides 1112. Download without worries with our money back guaranteee.